Ø 23rd Street NB from Constitution Avenue to Virginia Avenue NW. Southbound 23rd Street will be allowed to flow and access outbound TR Bridge. Ø Constitution Avenue from 14th Street to 23rd Street. The 3rd street, 9th street and 12th St tunnels will remain open for travel into and out of the city, however, the 9th Street Tunnel and the 12th Street Tunnel will close during the Independence Day Parade, which will begin at approximately 11:15 am and continue until approximately 4:00 pm will be closed between Constitution and Pennsylvania Aves. 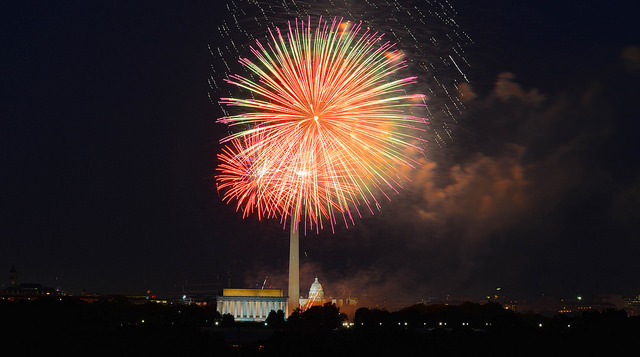 National Mall Pubic Entry Access points- July 4th: Open at 10:00 am. • East Basin Drive, at the Inlet Bridge.